Work for Oracle Field Service Cloud? Learning about Oracle Field Service Cloud? "Fantastic Software, When It Works"
OFSC was a great product for me to use, when it worked. We used to schedule our daily service tickets out. All of the customers information was uploaded and easily accessible. Same with the job details and the products used. We also had the ability to track, in real time, our drive. This helped provide timeline updates on the fly. There would be several times where the software would not load all the client details correctly. Or at all.. Now, this could have been a hardware issue (with the tablet) however it happened to several other techs as well. That, along with the fact that sometime we couldn't manually enter details from the tech end into the software (or make changes) was kinda odd. We would have to call in. Make sure the hardware and the software are able to work flawlessly together. If the hardware is not up to par, it will cause the software to lag / bog and will make for a tough day. Creating job tickets. Tracking job tickets. Tracking techs drive / drive times. The benefits of having everything in one location is ideal. OSC relies heavily on network information for travel which can at times be inconvenient. OSC integration with third-party products is a bit iffy when compared to other solutions. "Great product would very much recommend"
I used this product for a class I needed to take and going in was hesitant on the usability, the product is very user friendly and designed to be effective and efficient. I was quickly able to gain a basic understanding on the softwares programs and functions and was able to complete my tasks with ease. The price is rather high and it is difficult to find information on how you will be charged, the customer service is a pain and too computer oriented. I was on hold and passed around from person to person many times, it caused me much stress and took two days of calling to resolve my issue. The whole process could have been solved with a simple cancel statement in their terms and conditions. I noticed its benefit is with choice and a more flexible and secure access to a platform. It saves time and in the end creates a better looking and accurate resulting product. I think time and efficiency is the biggest problem it solved which is very important in this day and age. "My Review Of Service Cloud"
The reporting within the product can be pretty useful once you understand the table structure. I was able to customize real-time reports for each team based on their unique KPI's. There was not alot of support or documentation from Oracle. I learned the background structure of the product through Googling how other users were creating their reports. Really study how to customize the product to your needs. We utilized it for past-booking customer service and had future plans to roll-out with chat as well. We also used the knowledge base to control our FAQ environment online. The way it was initially setup was ineffective (I still don't know if it was Oracle or someone within our company). We realized that that click stream volume was out of control because of this and we had to re-structure the FAQ environment to slow the bleeding of click-streams. 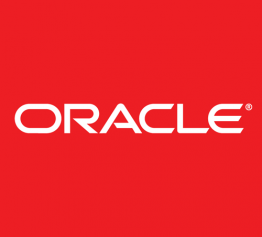 "Great Software for An Efficient Workplace"
What I like best about Oracle is that our data is streamlined seamlessly into our systems, allowing us to work both effectively and efficiently. I do not know what Oracle is capable of doing in other lines of business, but in my business, it proves itself time and time again. With any system, there will be issues of course. What becomes most important is both how frequent these issues are as well as how severe these issues can be. With Oracle I find our problems to be limited to potentially one a week if not even less frequent. When we do run into a bump in the road, we simply use another tool to help "refresh" the system and proceed with our work. The entire process may take as little as 2 minutes or as long as 30, but the troubleshooting is marvelous when it comes to Oracle. I would highly recommend this system if you are looking for something reliable and easy to use. In my business, I am able to properly assess the nature of the contact I am receiving as well as how I might best resolve the issue being presented. We are constantly solving newer and progressively more difficult problems with Oracle on a daily basis. I am able to take a step back from things and assess our problems from an administrative perspective, allowing me to coach and help resolve these problems. "Could be a useful tool for large companies"
It will shoot out a report for you in one minute. It organizes field data, and lets you have your own company's template - that is, if you get anyone from Latista to stay on your team long enough. We are ignored by tech services and also treated very poorly (rude emails, never get called back after leaving voicemails, so basically non-existent tech support or customer service) by Latista administrators because we are a small company, so a small drop in their bucket. Do not buy it. It is costly and you rely on Oracle too much to customize yourself. Photos and issue management from a tablet-based inspection. It provides a lot of different things and as a user I find that very convenient. Even though it is technically organized, it's very difficult to find a lot of things when actually using it. It's not as clear or clean cut as it could be. It's just super convenient and helps me to look at things easily and view a bunch of things easily. "Low-cost system allows you to keep track of employee activity to reduce costs"
This program allows you to increase efficiency and reduce costs by keeping track of employee and customer activity that allows you to solve business problems and improve organization. The ability to see your scheduled route 10 days in advance. The countless bugs in the system, rerouting calls do not stay routed the way you'd like them, part search function will time out looking for parts locking you out of the part number entry box. Wait until all the bugs are worked out. It is a powerful and complete tool, but it is still buggy and terribly slow at times. GIve them another two versions to work out the kinks. Improved response time, single source application, billing, parts, inventory etc. "Functional Software that could use a facelift"
Oracle Field Service Cloud does a great job of monitoring and tracking people and progress and showing users patterns and predictives based on the data collected. The main problem that I have with Oracle Field Service Cloud is that while it offers some of the best information and usable metrics, it looks outdated. The menus and options are pretty intuitive, but there is overlap on menu options that sometimes make navigation confusing. While I can thoroughly recommend the features and efficacy of Oracle Field Service Cloud, I think it's important that it is implemented with careful training protocols in place so that employees can learn how to use all the features and navigate a sometimes complicated system and menu division. As an administrator, I can easily check people's progress and foresee and prevent potential problems before they occur. On Demand and SaaS. CRM On Demand and Oracle Sales Cloud are cloud CRM solutions which are accessible over the internet and paid for by a monthly subscription charge. This method of using software is often called software-as-a-service (SaaS) and is available to authorized users with a web browser. Oracle's Complete CRM solutions offer the broadest and deepest capabilities that help ..... added information to a Service Request for customer complaints. As diverse as it is, Oracle CRM makes customer relationship management easy for businesses of all scales and industries, allowing them to optimize their sales processes, and boost sales productivity. I like the functionality and ease of the software. It makes moving through multiple systems a lot smoother. I did not like the start up at first because it was a little slow transitioning but once it was up and going I love it now. I do not know how we ever functioned without it. I recommend it if you have multiple employees and need something that is compatible with more up to date software. We are meeting metrics goals because moving through the systems when focusing on a sale is so kuch easier now. Easy to locate categories of information and to find where things are listed. I am able to sending emails to customers or ibternally and detail to internal employees what needs to be done and to help make their kob more wfficient. I like how simple it is to use. Easy for customers too. I liked switching the little icons to make it personal to use. When you have to log in a million times or it was down was the worst. We used to use that for emails here and the benefits were greater than just using regular email. I wish we were still using that. It was easy to learn and use. I liked switching the little icons to make it personal to use. organizational algorithm is superior! User interface is seamless. Easy to train new employees in using it. I love theirs customer service and how easy Oracle make it to use their software. There are no bad questions to their reps when you call and their platform is also super user friendly. There’s literally nothing I can think of that I dislike about Oracle. If you’re looking for credibility and reliability towards a software that will enhance your business communication with clients then o would say Oracle Field is for you. Communication more effectively with customers and making sure their needs are fully met within our service line of business. I like that everyone in the company has access to email transcripts so that we so not have to wait for one person to come back to work to resolve an issue. I dislike how complex it looks ,I am sure it could have a better layout. We are able to expedite resolutions and communicate efficiently. I love that my company has switched to this program to cut down on using multiples tabs to use our tools. My company has just switched over from Cisco to Oracle a month ago and it has been a headache. My computer has been slower than ever and even freezes. All because they have decided to pour every source of help and features into one program with hundreds of employees using it every hour. When a customer calls in, their customer profile immediately pops up. And I'm able to send a form to other departments. The reporting capabilities within SC was quite superior compared to other products. It just took the time of learning the how the data tables related to one another. There is very little support from Oracle in getting this set up or in learning how to effectively use the product. Great for for all customer service needs. The knowledgebase is effective too if you know how to set it up. It is great for capturing our complaints from our customers. I use it all day long!!!! my Company has not updated the software for over two years. Every now and then we have to shut down and restart the program when things go wonky. IF you are looking for something that can assist with keeping the record on track and not mess up this is it! I love that it’s a system that is very simple to adjust and never have trouble following it. I used the program daily to compile specific data and then compare. Oracle made this easier with their flexibility on how to organized per your needs. The time gap. Most times the gap between transactions is short (15 minutes or under) but sometimes transactions take too long or don’t go over correctly. Benefits I have come to realize using Oracle: data extraction is exactly what you make it. There is room and flexibility to obtain the specific data fields that were near impossible to get with previous programs. Ease of navigation from page to page. I never have trouble finding the area I need. I didn’t even need trained for the software like everything else, i just figured it out on my own by playing with buttons. It’s bothersome that it freezes. If i push more than a button in under 10 seconds the whole software needs restarted on my work laptop. That’s frustrating. I’d try it out first, they’re great at giving full trials. We are getting feedback on services provided. This program does all the work for us. It is intuitive, once you understand the process flow. We run a program that integrates SAP with Oracle. When order programs are being updated, Oracle is constantly running in the background. This keeps routine processes such as invoicing simple and continuous. If you make a mistake, it isn't easy to correct. Due to the multi layer process, automation can quickly cause errors. All persons in my company have access to the Oracle system and cloud. This allows for streamlined sharing and better process communication. You can write detailed programs in the Oracle database and it runs very quickly! Because it is vastly growing, it’s difficult to keep up with updates. It’s a great program and very efficient. Give it a try! Oracle helps lower IT costs for customers and it delivers great quality service by enabling consolidation onto database clouds. "Oracle Field Service Cloud Review"
My favorite feature of Oracle Field Service Cloud is that I can use it on the go and access it whenever I need to. It’s very convenient. The only feature that I dislike about Oracle Field Sevice Cloud is that sometimes storing data can be troublesome. Try this product and see great results. This product is helping us give better customer service and provide customers with an easy experience. I’ve realized that using a product that makes employees jobs easier will allow us to better serve customers. Able to customize to your business needs. Easy to use routing. Communicates well with the mobile and the service system. Some things are very manual and would like to have a quick solution for some manual processes. Ex locking routed time windows all at once. We use to utilize ups software outside of out service system. Unable to customize as much as we needed. Having all Oracle bade programs that communicate well with each other and work well with our none Oracle items. "Use as an employee for access to personal information "
The dashboard layout is easy to follow and aesthetically pleasing. There are also several features that can be used for tasks and planning purposes beyond the normal work related features. There are issues on the administrative end in terms of their access and an inability to properly track and reports within the platform. These technical difficulties ultimately lead to problems that trickle down. The financial planning for projects feature is useful in having a place to fully integrate this data. Sometimes it takes several steps to make it more customized to what I need to do. This has helped us shuffle 'paper' back and forth quite a bit without the actual shuffle. This software provides you with everything you need. The down side of using Oracle is that it has many steps to perform one thing. Have patience, it will pay off eventually. I can access my account, benefit, vacations, retirement info. it organizes the customers information really well and is very organized and neat. it gets very slow when a customer calls in, it takes a second for the search engine to pop up. "Quick fast service all on onr website." Oracle has been easyvand fast to clock in and outm it keeps good track of my hours and lets me easily make trades and request time off. There is a lack of mobile usage. I'd love an appto clock in and out or to look at my schedule. To my knowledge there is not even a mobile website. Try to use it mostly within network. The use of oracle is mainly for scheduling and time keeping. The best part of the product is for ticketing it is very easy to upload and easy to access. Allows you to add many details and track the progress. The major problem that I found is when looking into a ticket it would be hard to load the details of the ticket for the client. Make sure you have the details of the ticket in another file in the event you cannot pull the information up! I have to say I really like the UI and the way it easily integrates with Oracle Service cloud and pretty much any calendar tool so techs can pull appointments into outlook or gmail. "Oracle Cloud works but that's it"
It functions as intended, but can be slow and this may be due to our organizations size or plan with Oracle. Make sure it functions well for your specific use. "Oracle- 6 levels of hell"
It is somewhat organized, I appreciate being able to find the incidents I need fast and without too much work. However, having to submit incidents is a different story, very time consuming. Not having to type everything out. "Great! A little bit of a learning curve "
If you click cancel on accident it doesnt ask "are you sure you want to cancel?" "Good software, not always reliable"
The software is not consistent or reliable. It often uploaded client details incorrectly. Improving our methods of billing and inventory in the moving business. Oracles most important item is the software for data analytics, data warehousing, and data sourcing. The data analytics is very complicated to learn and use at the beginning. The recommendations to consider for Oracle Field service cloud is to make it user-friendly. The new generation is high technology savvy, but the older generations are not. We currently utilize data analytics for tracking call center incoming calls and satisfaction. I like that you can find almost anything as long as you learn the system. It sometimes crashes so you have to close it and restart it at all times. It's more for finding products in the store. Used this product In call center for staffing. Worked great and simple to use. Training at first only through my employer could’ve been more comprehensive but was able to pick it up quickly. I love how easy it is to navigate: Its incredibly user friendly and easy to learn. Hands down thw easiest of all rhw software we use. It seems to have lots of late night updates so it’ll randomly shut down. If youre looking for an easy to use, user friendly service, this is it. We use it to record time sheets, contact information, as well as customer information for easy look up. * We monitor all Oracle Field Service Cloud reviews to prevent fraudulent reviews and keep review quality high. We do not post reviews by company employees or direct competitors. Validated reviews require the user to submit a screenshot of the product containing their user ID, in order to verify a user is an actual user of the product. Hi there! 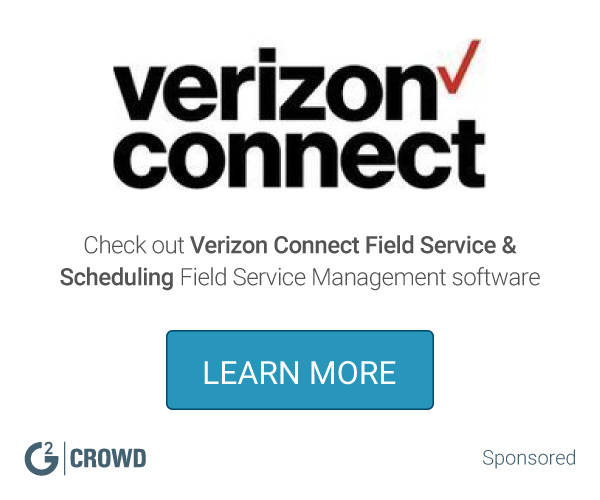 Are you looking to implement a solution like Oracle Field Service Cloud?